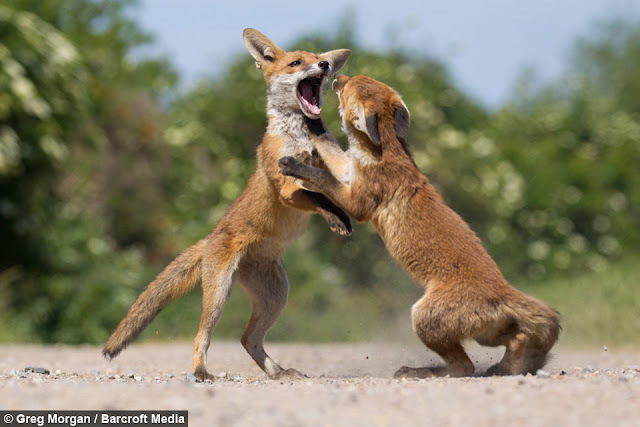 The critters reared up on their hind legs and tried to assert their dominance, as they grappled in short bursts in Walthamstow, London. 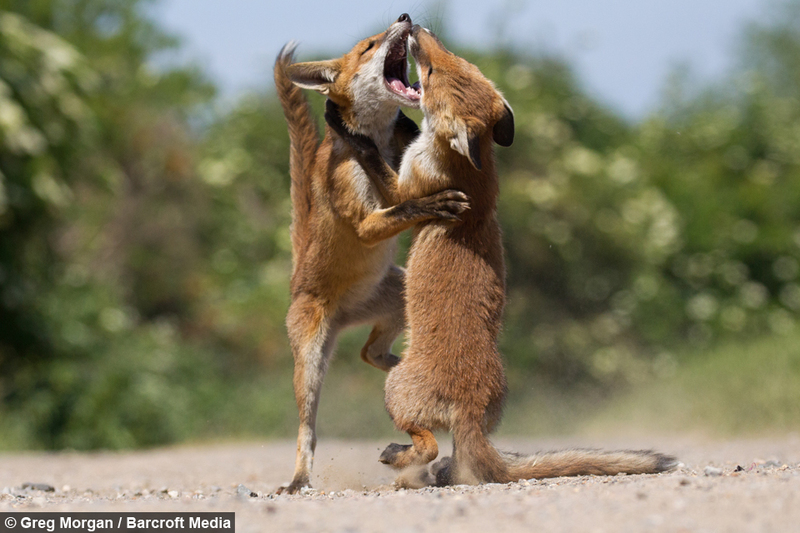 Photographer Greg Morgan had been following the cubs for five to six weeks when he captured the images in June. 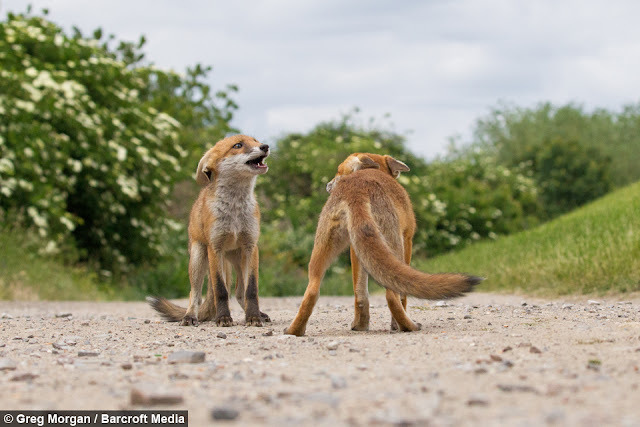 The former civil servant believes the urban foxes are roughly three-months-old, and said: “They have reached an age where they are testing each other out. 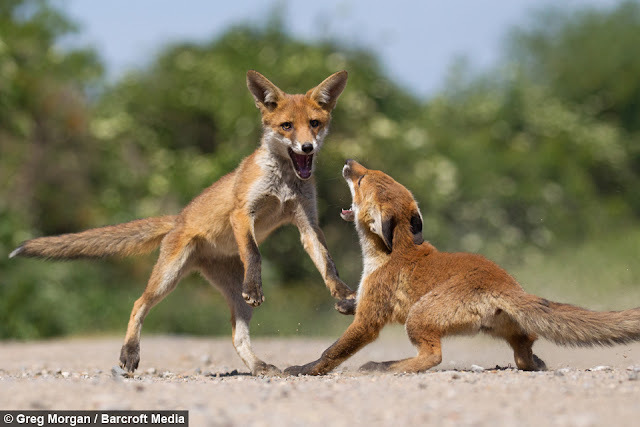 “Quite often they will be squabbling playfully, but sometimes there is a bit of an edge to it when they are trying to assert their dominance. 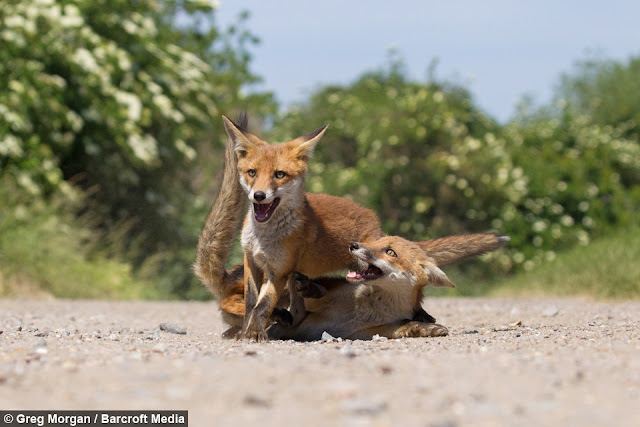 The animal-lover said the cubs are now so used to seeing to him that they are completely comfortable with having him around. Greg continued: “I follow them for a while and they will generally get along, but every now and then and they go into a little scrap. “Then they will start chasing each other and trying to get one over on each other. "It all happens so fast and totally out of the blue." 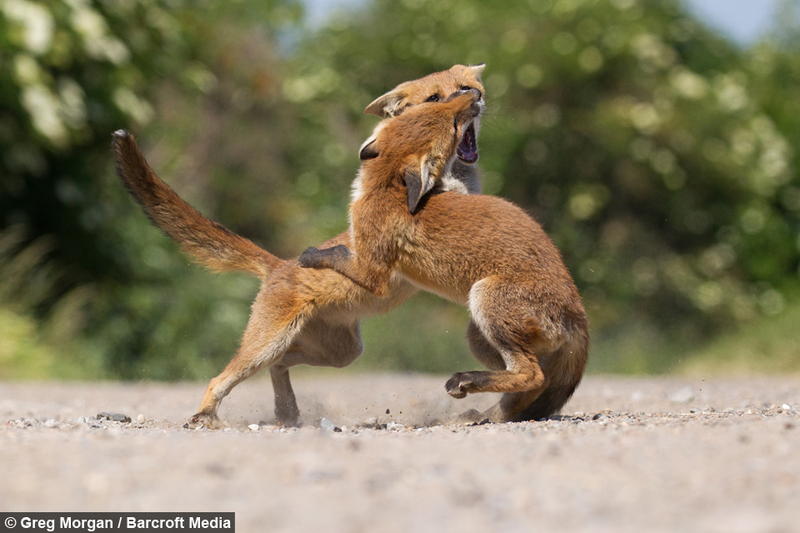 Responses to "Feisty Fox Kits Show Their Teeth During A Playful Scrap (Photos)"